Spent an afternoon lounging at home and got comfy in front of the computer to work on some photos that I got from covering events this week. Aside from that, I've had two birthday celebrations, some celebrity shoots that I need to finish before the weekend starts. Lo and behold, our doorbell rang and there's an awesome care package waiting for me outside the door. Mailman was bearing gifts from OISHI and saying HI. 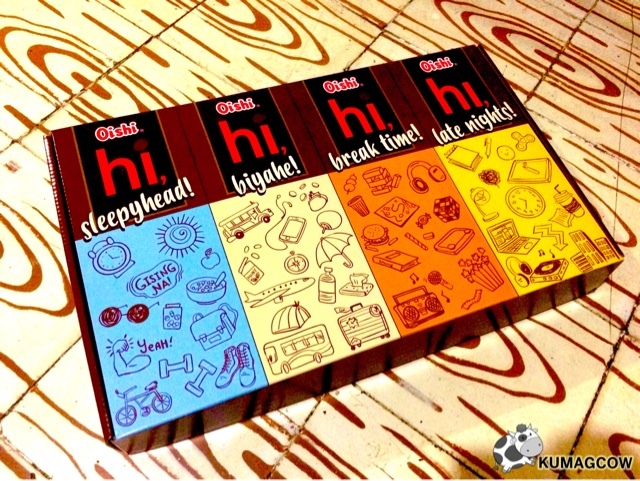 I asked myself a couple of times about what this is, because all it says is HI. It looks like clues were also given to me. 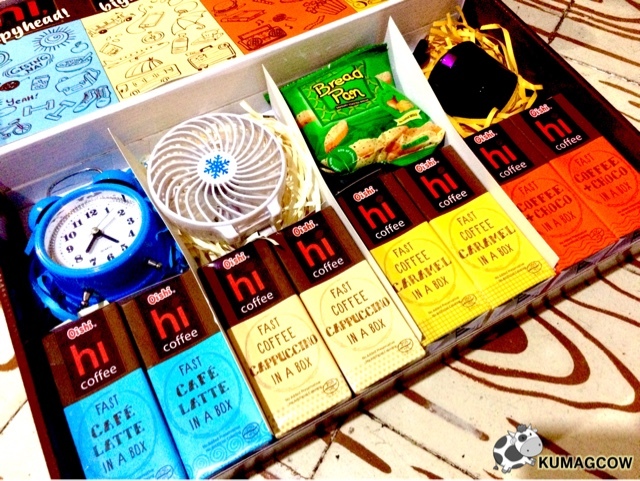 The Fast CAFE LATTE In A Box is like an alarm clock, it will keep you awake from sleeping. 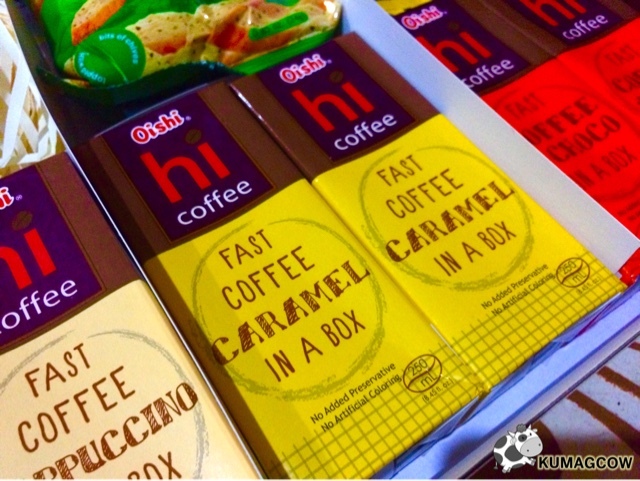 Oh yes, these are new coffee drinks from OISHI, a brand we all love! 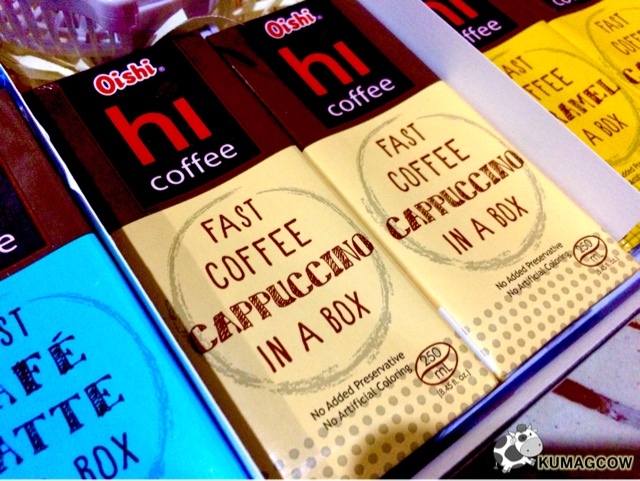 The Fast Coffee CAPUCCINO In A Box is a little stronger, keeps you cool in a warm tropical weather like in the Philippines. These tetra brick packs really came in handy because you can easily put it in the fridge or ice box and it'll be cold in no time! For those who want it a tad sweet, don't fret because there's Fast Coffee CARAMEL In A Box. You get that caramel flavor in every sip so you know you're not shortchanged. Pretty good even if it doesn't have added preservatives or artificial colors. 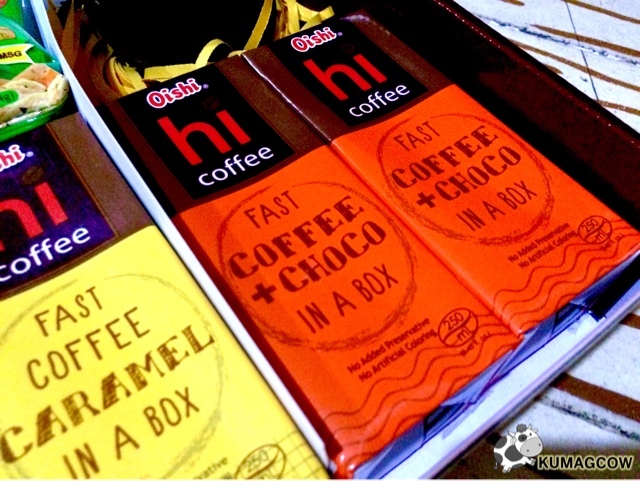 For those who are addicted to chocolate, the last one is Fast COFFEE + CHOCO In A Box.You get the perk of having coffee itself plus the sweet and chocolatey drink we love during parties. Just open it up, connect your speakers to your phone and play the music so loud that you won't even hear your friends chat. 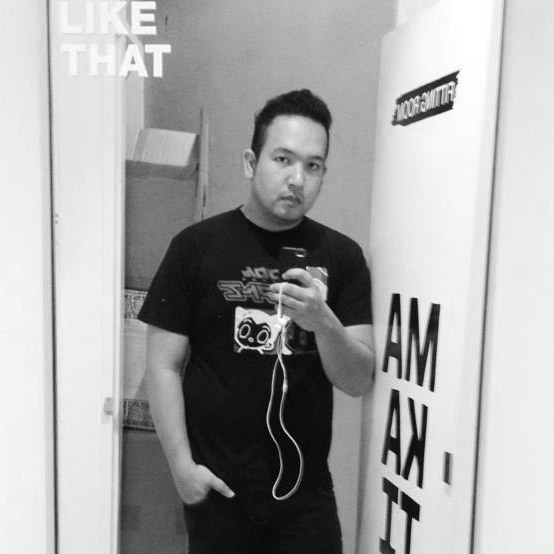 Enjoy it as it is anytime of the day, even if you're already doing deadlines for work. Stop making excuses, get enough amount of caffeine so you won't be sleeping all the time in the office or your boss would get mad. Be a good boy. 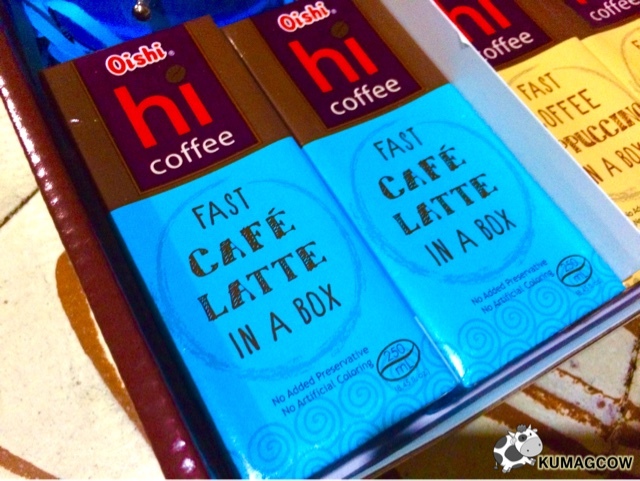 OISHI HI COFFEE is available now in mostly all groceries, huge stores and even some small ones. Do yourself a favor and get one so you won't be sleeping to take photos in your own turf. 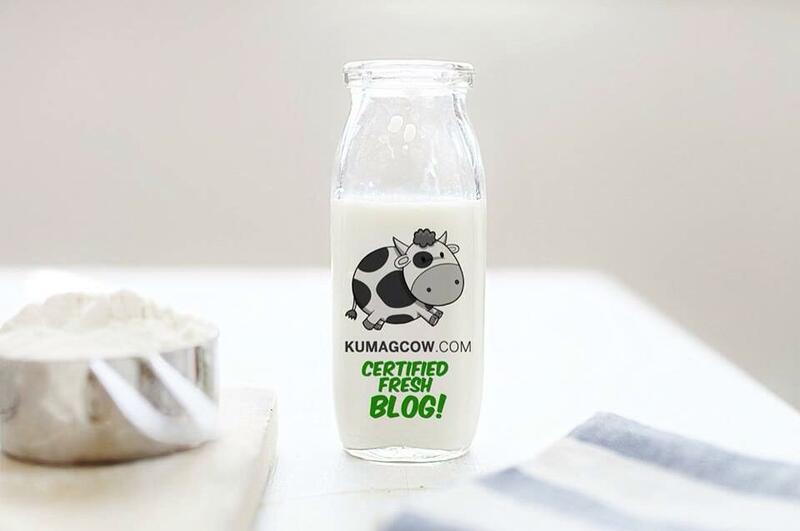 I am still drinking it!